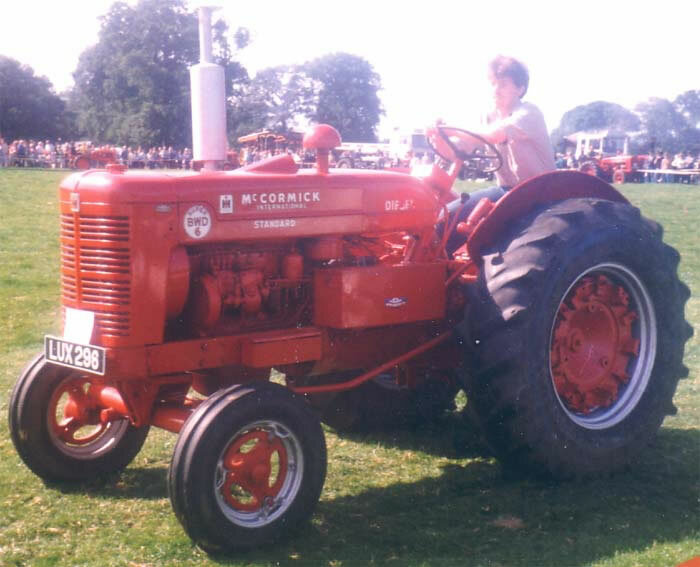 The International McCormick Super BWD 6 Tractor launched in 1954 was powered by a 50.5 h.p. diesel engine. transmission was via a five forward and one reverse gearbox. Standard features included a 540 r.p.m power take-off, a belt pulley and live "Liftall" hydraulics. The BWD 6 was a ploughing tractor, heavy cast iron rear wheel centres limited track width adjustment to 56, 60 and 64 inches. Production of the BWD 6 ceased in 1958.